others stumbled into this place and discovered a purpose. The counseling modality used by ICD, “Creation Therapy,” focuses on enabling persons to better understand themselves and their responsibility to establish and develop a deeper relationship with God. It allows people to understand how God made them, and how they can truly live a life in balance. It is a viable tool that allows counselors to emphasize the importance of yielding to God’s will, and of discovering His purposed destiny for each individual’s existence. So, whether you feel called to the ministry of Christian counseling, need to find a better way to help friends and family or wish to pursue a career in counseling, let us be your resource. If you desire a college degree that is based on biblical principles, then let ICD be the solution...we’re here for you. 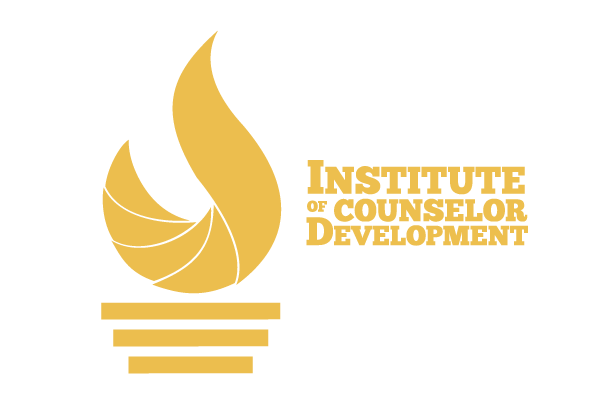 Founded in 2000, the Institute of Counselor Development (ICD) has been one of the largest, and only, education and training organizations for Christian counselors in this area. We offer counseling certification/licensure programs as well as degree programs from Associates to Doctorate degrees in Christian Education, Clinical Christian Counseling and Theology. Clinical supervision is provided by ICD founder Dr. Ron Hamm, Ph.D., D. Min., LCPC, DVIP. Dr. Hamm is dedicated to the training of counselors using Biblical principles. It is his desire to provide quality education that leads to licensing and certification of professional level counselors. Students must meet specific guidelines in order to be licensed through the N.C.C.A., and must earn the required number of credit hours to receive degrees through HIBCS. Our desire is to help you achieve your goals and to educate Christians to further the work of the Lord. If you would like to know more about our school, please feel free to contact us with any questions you may have. You can call, email or send us a note today for more information. We look forward to hearing from you soon.